African Rainbow Capital says it has completed R107m in investments and is still holding R1.9bn in cash. The share price of African Rainbow Capital (ARC), the investment company founded by mining magnate Patrice Motsepe, remained unchanged on Wednesday after it released an investment update. ARC said it had completed R107m in investments in the three months to end-March, and that it was still holding R1.9bn in cash. The company’s overall pipeline of acquisitions was healthy, as was its cash position, said co-CEO Johan van Zyl. 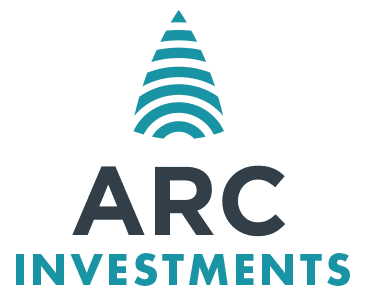 ARC Investments said it was considering further investment in the proposed Elandsfontein, Western Cape phosphate mine, which would require "significant additional capital". Three funding models were being considered for the project, which faced environmental opposition and previous delays due to low phosphate prices. The company’s share price was unchanged on the day at R6.89 on Wednesday, representing a 22% discount to its diluted net asset value per share of R8.75 in the period to end-December. The company continues to trade at a discount to its net asset value per share, though it is not unusual for an investment holding company. Despite the company’s track record in terms of investments, there has been a lack of clarity on its business model, with the company saying it has acted to improve communication to the market. ARC was on track for a 15% return to equity or better, to provide investors with a track record of consistent out-performance, Van Zyl said. The company was close to delivering a 15% return on equity, he said, considering the performance of the assets. ARC Investments has set a medium-to-long-term aim of a 16% growth in net asset value. Over the past three months, the company had subscribed for additional shares in ARC Financial Services Holding to maintain its 49.9% shareholding. The company’s diversified portfolio spans in, among others, telecommunications, mining, agriculture and property. Its single largest investment is mobile network operator Rain, in which it has a 20% stake valued at R1.9bn, or about 26.7% of its entire portfolio. ARC Investments said on Wednesday that Rain’s management was on track to meet its target, and ARC’s shareholding had increased slightly to 20.55%.